Nice Home in Mad River! This little home has a lot to offer a first time buyer, investor or someone looking for a summer home. Located in Mad River and sitting on one acre, this home is minutes from all the outdoor activities! The home is a 2 bed/2bath home with a main open floor plan. There is also a guest cabin with a bath that needs a little TLC but it offers another bed and bath! There is a detached 2 car garage and other out buildings used for storage. The home is on a well and septic. The owner just put on a new roof with 30 year shingles. The home has had some updating in the recent past but is still in good condition and with very little work is move in ready! 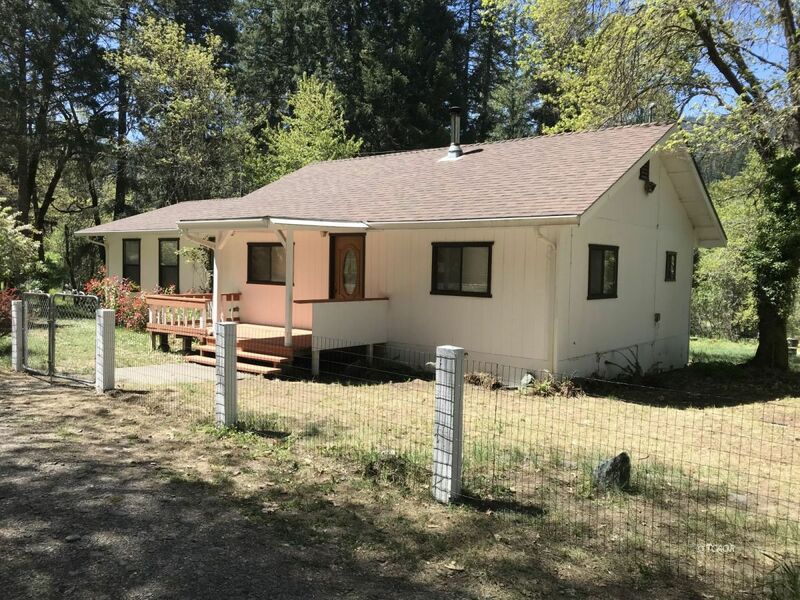 Located where you are minutes from the National Forest, Ruth Lake and the Mad & Van Duzen Rivers. Also you can go to the coast which offers a scenic 1 1/2 hour drive through the Redwoods! This home is a must see and offers lots of potential. So don't wait, this could be the one!